FAIRMED – previously known as Leprosy Relief Emmaus Switzerland – is a development organization based in Bern, Switzerland, that has been active since 1959. FAIRMED FOUNDATION’s involvement in Leprosy Control in Sri Lanka dates back to 1981. 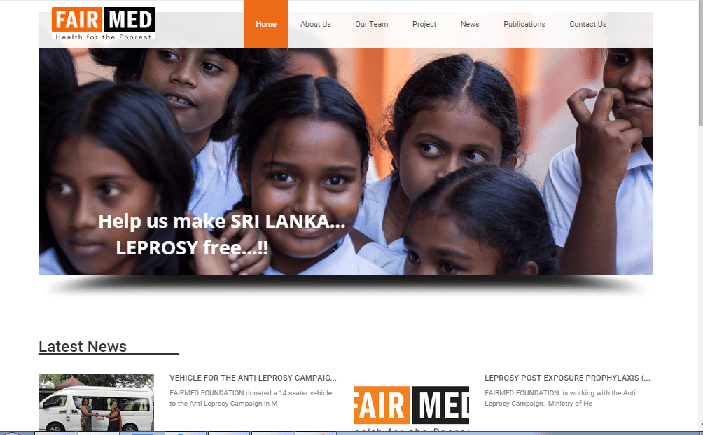 Since then, under an agreement signed with the Ministry of Health, Sri Lanka, FAIRMED FOUNDATION is providing assistance to the Anti-Leprosy Campaign (ALC) in Sri Lanka for Leprosy control activities.